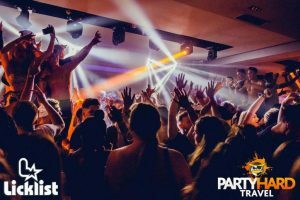 Looking for the ultimate destination for your summer 2019 party holiday- then we reckon that Kavos in Corfu, Greece could be right up your street! Here are 5 reasons to choose Kavos for your clubbing holiday this year. Kavos might be smaller than other resorts, but it still packs some epic clubs with a main strip full of quirky bars and restaurants. One of the best clubs in Kavos is undoubtedly Future Club and we’re throwing in a Future Club night as part of your Essentials Events Package. Suddenly, your 2019 Kavos party holiday is taking shape! When you’re going on that first holiday with your friends, sometimes you just want a resort that’s friendly and small enough to find your way around- that’s Kavos in a nutshell. You’ll get your bearings in a day or two, and will keep on bumping into the same people. There’s no way you’ll be leaving Kavos without making some new friends! 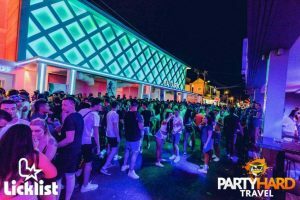 Another reason that Kavos is a great choice for your 2019 party break. 3. Voted the Best Paint Party in Europe! Just you, your mates, 2000 litres of paint and hundreds of revellers blasted with mega paint cannons! And once more, Kavos took the crown as the best paint party in all of Europe in our 2018 awards! 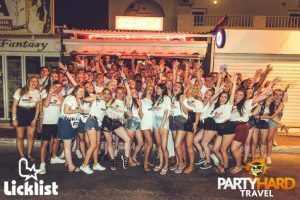 Make sure you’re in on this VERY messy event for summer 2019 in Kavos! The corks are popping, the champagne is spraying and the music is pumping! 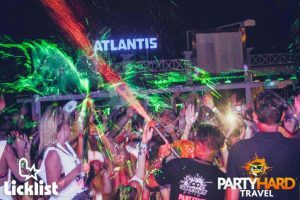 Kavos’ Champagne Spray Pool Party is officially the best pool party in Europe- as voted by our guests in our 2018 awards, and you can be there with your lads or girls this summer! Book for summer 2019 in Kavos now, and you’ll get entry to the Champagne Spray Pool Party at Quayside with the Essentials Events Package- included free with every booking! Student life often means a severe lack of funds but the great thing about a party holiday in Kavos is what good value it is! With a 3 course meal for about £8, cheap drinks and your Essentials Events Package included for free- who could ask for a better Greek party holiday?